Sending kids away to summer camp for weeks or even months is, for many, a yearly tradition. Camp in Cortlandt Manor or even out of the state is something fun and exciting for your kids to look forward to, and we at Glaser Orthodontics are here to make sure your braces or Invisalign treatment isn’t hindering the summer fun. It is important to maintain the same oral care and routine kids have at home while away, so their braces stay in shape. Dr. Glaser recommends giving your child a “braces camp kit” filled with all the necessities related to their teeth. The kit can include plenty of extra toothbrushes and wax in case a wire breaks. The important thing is to maintain clean teeth while you are away. 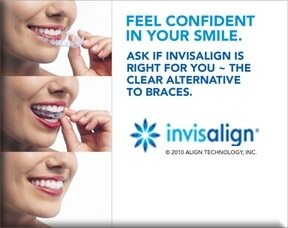 If anything were to happen to the braces or Invisalign, inform the counselors so the camp can arrange for them to see a local orthodontist who can help. The main thing is for your camper to be comfortable until you resume your regular schedule with your family orthodontist. Just like at-home eating habits, the same instructions are given while away at camp; avoid sticky, chewy, or hard foods. Our main goal at Glaser Orthodontics is to make sure your Westchester camper is completely prepared to maintain braces during the summer months. If you want to schedule a visit before they leave, feel free to stop by or call us! Last but not least, while away at camp, have fun and see you when you return!